This episode included two major disclosures which, as David Wilcock observed, seemed to be more overlooked than other revelations mentioned in the narrative of partial disclosure. The discussion begins with one key disclosure which came from Wikileaks. 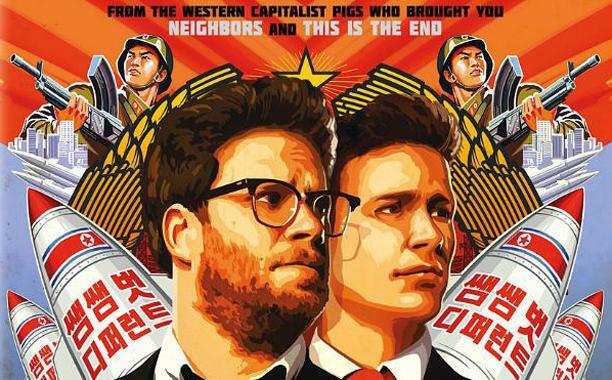 Many of us will remember the 2014 movie, The Interview with Seth Rogen and James Franco. We may also remember the controversy and suspected collusion behind the scenes which revealed this movie to be a form of war propaganda. However, instead of speculating, lets get a more defined answer. We turn to USA Today for an article published on April 16, 2015 regarding the revelations of the Sony hack which took place in early 2015. WikiLeaks on Thursday published a searchable database of more than 30,000 documents and 173,000 emails leaked from the Sony Pictures Entertainment breach last year. WikiLeaks, which publishes leaked, secret and classified information, posted the files in an easily searchable format. It said they were important to keep in the public eye because of Sony's ties to the White House, its extensive lobbying efforts on behalf of copyright law as well as its "connections to the US military-industrial complex," the group said in a release on its site. In a statement, Sony said it "vehemently disagrees" with the assertion that the material belongs in the public domain. "The cyber-attack on Sony Pictures was a malicious criminal act, and we strongly condemn the indexing of stolen employee and other private and privileged information on WikiLeaks. The attackers used the dissemination of stolen information to try to harm SPE and its employees, and now WikiLeaks regrettably is assisting them in that effort," the statement read. The Culver City, Calif.-based company's website was crippled beginning Thanksgiving day of 2014 by hackers who also stole files and emails. The attack was later linked to North Korea in revenge for Sony's planned release of the Seth Rogen and James Franco movie, The Interview, which made fun of the secretive nation and ended with the assassination of its leader, Kim Jong Un. "This archive shows the inner workings of an influential multinational corporation. It is newsworthy and at the centre of a geo-political conflict. It belongs in the public domain. WikiLeaks will ensure it stays there," said Julian Assange, WikiLeaks' founder. The documents and emails give an easily-accessible picture of what's normally hidden at a large multinational corporation. They include connections between Sony and the Democratic Party, an email asking executives to donate to a $50,000 for New York Gov. Andrew Cuomo for his anti-piracy work and links to the RAND Corporation, which WikiLeaks calls a part of "the military-industrial complex." There's also a great deal of information about the movie world, including emails about Sony's films as well as movies and TV shows produced by rivals. It's important to stress the point that all of this information was hidden from the public eye, and that it required a hacking attack to bring it to light. We hear all of this information coming forward which is severely damaging to the image of the Sony company, and to top it all off, Sony doesn't even deny any of it. They simply disagree that it should be in the public eye. Lets take a look at why it is so necessary to remain in public view. It may have already been public knowledge that Sony has close ties to government by way of their lobbying stance. What was not known was just how close their relationship to government was. As Wilcock states, Michael Lynton, Sony's CEO has close ties to the Rand Corporation--an entity which is known as a part of the Military Industrial Complex. To put it simply, from a business and financial point of view, the MIC (i.e. the cabal) and Sony are virtually the same entity. This connection reveals the common interests between the MIC and one of the biggest entertainment companies in the country. To add, the film The Interview was produced by the Sony company (which means the Rand Corporation produced it as well). Here is another article on the movie, and the inconsistencies the situation was revealed to have. This article demonstrates just how much control Sony Music has over the actors they hire. It seems that in Seth Rogen's tweet, he broke the rules by responding to public criticism, and was quickly directed by the Sony representative not to engage. The article also reveals that there was never any threat from North Korea to begin with. 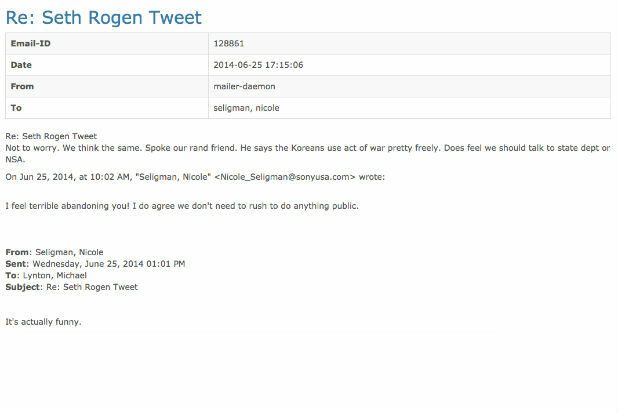 This can clearly be seen by Rogen and Nicole Seligmen joking about the response from North Korea. So we have Sony controlling the actors it hires and instructing them not to respond to criticism of the propaganda films it produces, as Wilcock states. The Interview had to be one of the most provocative, nationally insensitive, war-mongering movies made in ages. This was a movie produced by a company that is in full knowledge of the national tension between the United States and North Korea. Yet here we see them deliberately and overtly mocking North Korean nationality and being as antagonistic as possible. However, there is one piece of information which is key for our perspective. David Wilcock raises two key points. The first is that behind the scenes, North Korea is a cabal-controlled entity. The North Korean government cannot so much as sneeze without permission from their controllers. According to Wilcock's testimony from insiders, there was never any threat, as both the U.S. and North Korea were under the hand of the same manipulative trouble-makers. These cabalists have made a career out of provoking war and causing international upheaval as a source of massive income. They cause conflict and death whenever they can, but just like always, they need the consent of the people in order to act. This is where apparent war propaganda such as The Interview comes in. There is one more point which, in the case of The Interview, revealed the plot before it got out of hand. It seemed that just at the right time, this Wikileaks article came to the forefront of public knowledge. (As Wilcock points out, this leak was key in waking many people up for the first time to the fact that there is foul play going on behind the scenes.) As we have heard from past episodes, we have an Alliance that is fighting to defeat the cabal at every turn (and is winning by leaps and bounds). This Alliance is run by Vladimir Putin, who has a key vantage point which allows the Alliance forces to thwart any problem before it gets out of hand. As David Wilcock states, it is actually Russia that is running Wikileaks. This is why this article came forward when it did. The propaganda was on its way to do the usual damage, and if given a chance, it may have lead to yet another cabal-orchestrated, world conflict, but it didn't happen. Just as during the latest manufactured war with ISIL/Diesh, Russia called the bluff of the American propaganda machine and "gave a helping hand" in accomplishing what the U.S. pretended was their goal. In the case of Wikileaks, the same Russian counter-move was applied effectively. If you are like me, you may not have given much thought to the prospect of cloud cities, or cities in the sky at first. However, this subject may deserve a second look. At first, I simply considered it a possible distraction in the forums and on social media when compared to the need to take care of the cabal issue. (This was because it came forward in the middle of the large disinformation campaign of 2015.) Even still, when considering that this is a phenomenon which reportedly spans thousands of years of time, I think it deserves our examination. There are a number of accounts recorded by various people on the subject of phantom anomalies, but one stands out among the rest. This is the myth of Shangri-La or Shambala which was believed by some to represent an actual city hidden away somewhere within the Himalayan Mountains. Below is an excerpt from a PBS article on this story of Shangri-La. 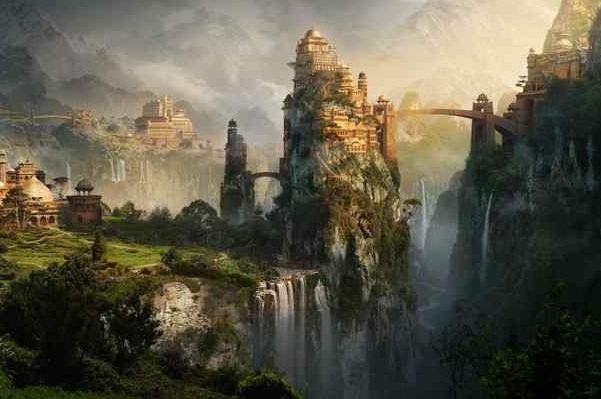 Watch the VideoThe myth of a lost Tibetan paradise came to the notice of Europeans in the 1580s, when travellers to the court of the court of the Moghul Emperor Akbar heard strange and wondrous tales of a remote Himalayan world. Although the story is told in a Buddhist text and is considered Tibetan, the tale seems to have been recorded first in India in AD 962. The tale is that there is a land behind the Himalayas full of peace and harmony where an isolated people live in accordance with Buddhist precepts preparing for the day when the world will be ready to live in peace. The kingdom is in the shadow of a white crystal mountain, approachable only through a ring of peaks. Next to the mountain are a lake and a palace. Here the wisdom of humanity is conserved, ready to save the world when needed. As stated in the above excerpt, the name Shangri-La is commonly used presently, but I imagine that very few actually know of the story behind it. Even still, I find a few things very interesting about this passage. Another aspect of this passage which stands out is the part which states, “The wisdom of the human race is being conserved there against the threat of imminent catastrophe.” This quote from James Hilton's novel Lost Horizon seems to refer to the familiar theme of catastrophe in the way which is most common within ancient myth. The Wisdom Teachings series has examined the ancient accounts of cataclysms and conflagrations in the past, and after these events occur, there is always a remnant of humanity left over for the sake of rebuilding civilization. It is thought by many that a form of E.T. assistance has been given during and after each catastrophic event so that the human race isn't completely lost. This alternate world of Shangri-La may be some alternate form of mythical representation of a place of safe-haven for the refugees of from the catastrophes referenced. Along with this meaning, one other comes to mind. Lets consider the concept of the myth for a moment. We have a story which is likely filled with accounts of actual events from the past. Whether they be somewhat familiar or other worldly, these accounts hold great value for the cultures who immortalize them in myth. However, this raises the question... Why not simply leave the story in literal form? Why tell it in the most figurative way possible so as to give unimaginative historians the most difficult time possible to decipher them? The quote from James Hilton refers to the conservation of the wisdom of the human race. I am of the belief that myth was created for this very purpose. Think about all of the ancient texts of major religions we have. Those who have done exhaustive research, and have done the inner work necessary to see such text more objectively may have learned that these texts are filled with both truth and manipulated lies which masquerade as truth. This manipulation has commonly been a result of cabal interests who infiltrate large groups and movements, gain the trust of those within the movements, and then begin to introduce inconsistent falsehood so that the naive and ignorant will follow the manipulation instead of the authentic message. (This has been a common tactic through the ages, and it seems that every major religion has been affected by it.) However, the myth is relatively immune to this tactic. When reading myth, the obvious truth is already hidden or encoded. It is already a mystery, and only those who have chosen to go the extra mile for knowledge and understanding are typically able to decipher them. Consequently, cabal interests seem to have left the myth untouched, and have instead focusing on dumbing the population down, and distracting them enough so that they cannot do their due diligence, or learn to see beyond the analogy of myth. However, this has changed in recent times. It is for these reason that I consider the myth of Shangri-La to be based on fact. This city may represent a higher density which only a few in history have ever been able to experience. Though it would seem that among other things, this trend is changing as well. (Before beginning the discussion on the dimensional dynamics of the Earth, I will give a different version of the usual talk on spiritual and mental maturity. Everyone is welcome to their own beliefs, but I offer these thoughts for the sake of our discussion. Many of already realize that there are numerous shape cults in operation presently. This is not to say that proven topics such a sacred geometry are not vital to understanding the universe. They very much are. I am referring to groups who blindly claim that there is nothing more important than the Earth's shape. Some people seem to believe that spheres are somehow evil and that to believe the Earth is spherical represents a threat to civilization, but this is not by their own reason or observation. These people may believe themselves to be free for the fact that they have adopted a new idea, when in reality, that idea is the exact same as that which the cabal feeds the sleeping to keep them busy without actually making any progress, and at the same time, making them believe that they are free while further enslaving their minds. At first, many of us realized that we were being lied to by the mainstream media (and that was a key realization to have), but instead of developing the mental independence necessary for making one's own choices of belief, some of us signed our minds over to strangers--nodding our heads 'yes' to everything a video told us--and fell into the exact same trap that mainstream media has proven to be. I liken this fixation to a prison situation. Within a prison full of wrongfully accused inmates who want to be free, the only way all of these inmates can free themselves is to work together. However, despite the need to escape, some choose instead to obsess over the color of the walls. They start to spend their time talking about whether or not the paint is grey, beige, tan, or a number of other colors. The discussion/argument grows until hardly any work toward escape is getting done. These paint-focused people may claim that to free their minds, all of the prisoners need to accept their surroundings, and that to do this they need to figure out the paint conspiracy. Pretty soon, you have a cult who has been taken by false ideas and thoroughly distorted priorities hindering the pursuit of freedom while claiming to value it--obsessing over philosophy when there is work to be done. There is one provable fact which stands... All valid conspiracies in the world are socioeconomic in nature. They exist for the sake of controlling society for the goal of money and power, but they have absolutely nothing to do with what shape the ground is (or what color the paint is). This is why no one would ever bother to mount a shape conspiracy, as it is easy to control ignorant people wherever they are standing (the same way it is easy to control a prison population whatever color the paint is). In truth, grown adults who are awake and aware don't typically care about shapes just because someone else tells them to. If we choose to be free, we will think and observe on our own, and make our own decisions about what we see. If we find ourselves parroting the words of the latest cult-recruitment video, this is our active choice to be enslaved the exact same way we were the first time by mainstream media. In this case, we may have missed more than a few steps in our awakening process. The concept of phased reality may come as new information to some of us. If so, we may be relieved to find that this concept is much more simple than it sounds. Conventional physics gives us a model of the atom that consists of a nucleus surrounded by an electron cloud. However, there are mounds of data collected within both conventional and alternative science which suggests that there is much more to the story. 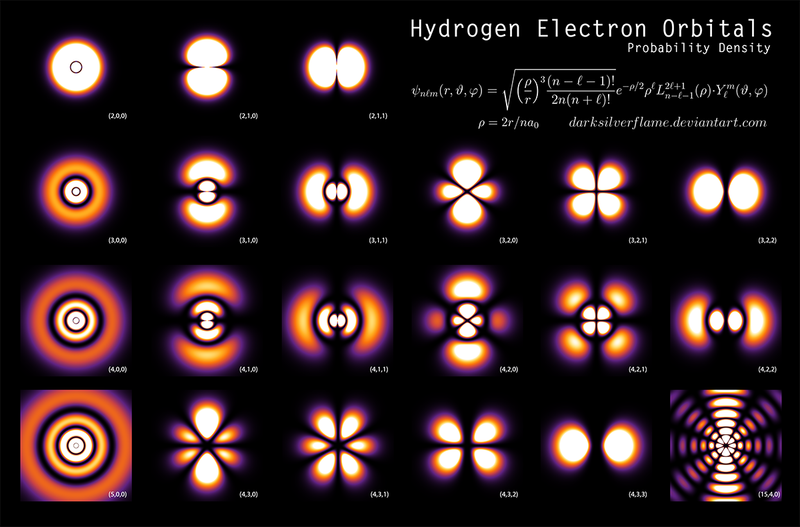 What are some of the best actual images of real atoms and molecules? We see from these experiments that there is much more to matter than we may have previously thought. This phenomenon is known as the observer effect. It appears that matter has a way of becoming solid state, but only when we believe it to be so. It stands to reason that if this observer effect applies on the quantum level, it will be occurring on the macro level as well. It could very well be that our entire physical reality is linked to our own expectation of what we might see. 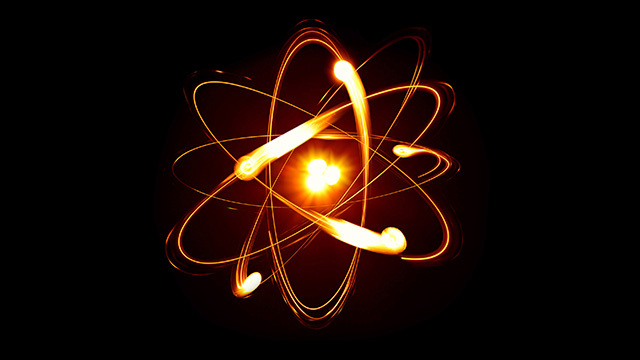 As increasing levels of energy are applied to the Hydrogen atom, the atom will transform each time it reaches certain higher, energetic states. This increasing energetic input is said to have similar results with planets as well, as planets tend to grow in size and energetic base state. Building upon this principle, the concept of group consciousness has been discussed more regularly in recent times. We have heard of the Maharishi Effect which has been observed on numerous occasions for decades now. This is, of course, the effect which occurs when many people are meditating on positive emotions, a core group of people can have an enormous impact on the world around them simply by the influence of consciousness alone. Violence, terrorism, fatalities, and crime as a whole all diminished significantly just by the influence of group consciousness. So we see that consciousness does not only have the capacity to affect a few electrons. Rather, our consciousness has the ability to change the collective focus of the people, the outcome of events, and to even change the base state of matter itself. Imagine the possibilities of an entire planet choosing to envision a better world. According to the Law of One texts, the Earth does not only exist in one density or dimension. The sphere of the Earth actually exists on multiple levels. As Wilcock explains, just as we as a human race are undergoing monumental change, the Earth is undergoing its own process of metamorphosis. This can be likened to a mother giving birth, according to Wilcock. Within the discussion, the connection was made between the topic of this metamorphosis and the recent reports of what some publications referred to as “floating cities”. 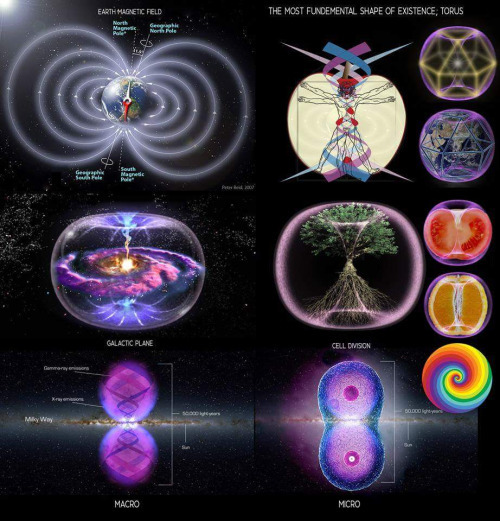 Though many may not have known, these manifestations may represent a significant change in the Earth's energetic base state, and the coming of the new Earth being birthed into existence at this very moment. As I said previously, I may have taken the topic of cities in the sky for disinformation if I did not learn of the background behind the phenomenon. It turns out that there are numerous accounts such as these which alternative scientists refer to as Fortean anomalies or Fortean phenomena. This is a term used to describe any occurrence that would typically be classified as paranormal, or supernatural. For the explanation of the term, lets turn to Wikipedia. Examples of the odd phenomena in Fort's books include many of what are variously referred to as occult, supernatural, and paranormal. Reported events include teleportation (a term Fort is generally credited with coining); falls of frogs, fishes, inorganic materials of an amazing range; spontaneous fires; ball lightning (a term explicitly used by Fort); poltergeist events; unaccountable noises and explosions; levitation; unidentified flying objects; unexplained disappearances; giant wheels of light in the oceans; and animals found outside their normal ranges (see phantom cat). He offered many reports of out-of-place artifacts (OOPArts), strange items found in unlikely locations. He also is perhaps the first person to explain strange human appearances and disappearances by the hypothesis of alien abduction and was an early proponent of the extraterrestrial hypothesis, specifically suggesting that strange lights or objects sighted in the skies might be alien spacecraft. Fort also wrote about the interconnectedness of nature and synchronicity. There is much more to read on the life of Charles Fort, and I would recommend that anyone interested study his work. (Were he alive today, he would probably make an excellent addition to Gaia. I would definitely watch that series.) Many of the occurrences which Fort studied were among those which we as awakened souls experience on a weekly, if not a daily basis. It is this example which David Wilcock gives to demonstrate just how long these phenomena have been occurring through history. With this in mind, one could easily apply the 'Fortean' term to the apparition or materialization of a floating city. This is, of course, the subject of interest within our discussion. Anomalous Paranormal Phenomena And Charles Fort - "The Father Of Fortean Science"
The article of interest comes to us on April 22, 2015. (The article which Wilcock used was from The People's Daily, and would be ideal for our example. However, I was unable to find the exact article from the 22nd. The article below would come to us on May 4.) In this article the account of a very unusual, and rather unheard-of occurrence took place over Africa, and was witness by hundreds of people living miles apart. Here is Journal.com. To be fair if Saidu had been the only witness of this brilliant yet strange experience, it pretty much would have been impossible to take his personal testimony as fact. But it was then discovered after his statement that the ‘flying city’ was witnessed by almost all of the villagers in the local area at the time, in fact hundreds of them, the Chief Imam of the sole village Mosque inclusive. Children and adults all saw and corroborated the exact same story!! A local farmer, Dauda Mohammed, explained how he saw it also from the open field where he went to pick up an implement he left the day before the amazing event in the sky. Dauda stated that when he had looked up and saw how the floating object was moving slowly round the village, he was so very surprised, but not at all scared and not once felt threatened in any way. He explained in detail how he saw the color of the buildings inside, what initially appeared like a moving round and wide shaped massive cloud. 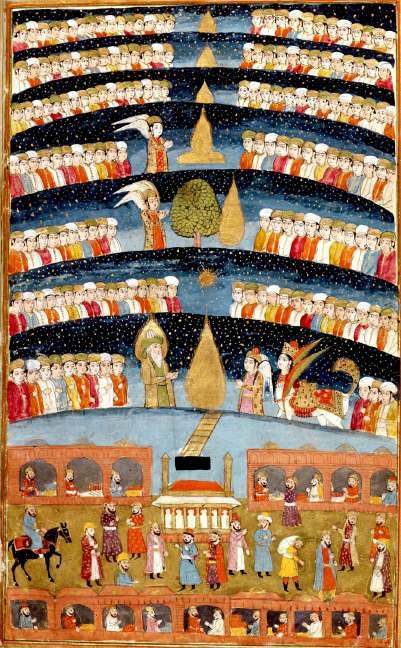 Ibrahim, a young boy of about ten years of age, pointed to the top of a tree and said that a ‘UFO ‘moved into the trees and came out of the other side but the trees were not pushed down at all. The above description by these villagers aptly falls into the category of the sighting of an unidentified flying object, popularly called UFO or flying saucer, a paranormal phenomenon which is widely known and reported in the Western world but never heard or talked about in this particular part of the world -- was this particular smaller UFO part of the ‘floating city’ in the sky!? 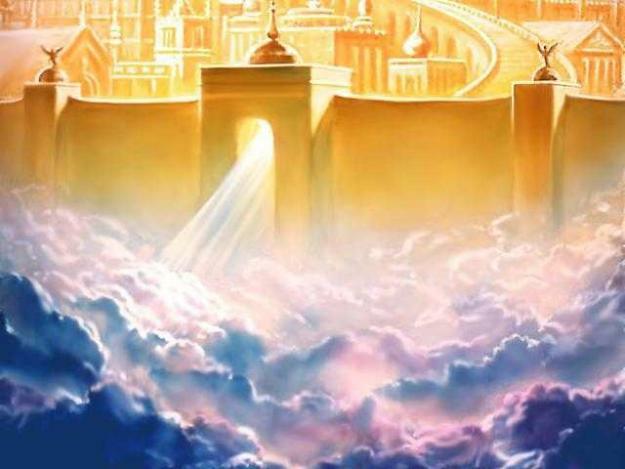 It may be that the reason many religions believed that "heaven" was up in the sky was because their faiths came from an authentic place, but were later perverted by cabal interests so that no one knew the truth behind the myth. Clearly, the floating city phenomenon is not an everyday occurrence. Most of us can't say that we've ever seen a hovering bubble above the treeline with images and sounds of city life inside of it. As Wilcock explains, this may have been a time portal. It may also have been a wormhole, or a view into another dimension. From the description, and from the knowledge of the physics of wormholes, he describes this as a spherical bubble which doesn't necessarily exist as a solid object, but is rather an energetic portal to another dimension. This may sound more "sci-fi" than some of us are used to. However, I do think that it is important to keep an open mind. We already know that our beliefs and consciousness affect reality, according to the observer effect and the Maharishi effect. What if that belief is preventing other aspects of physical reality from manifesting? What if our lack of belief in provable, scientific concepts are hindering those concepts from being observable? It may be that those in Bauchi State, Nigeria were more open-minded than many of us here in the U.S. In fact, as it would turn out, this Nigerian province was not the only place where such a manifestation occurred. It does seem as though this floating-city phenomenon was under reported. Though I can understand if others shared my own confusion on the matter. There seemed to be multiple occurrences of this phenomenon. Some were reported as mysterious, while others were attemptedly explained away as mirages. Here is another report which comes on October 27 from Express UK on an apparition over Jiangxi, China. Onlookers, some who are said to have videoed the bizarre event, were said to be mesmerised as a towering city of sky scrapers appeared from the clouds. First thousands reportedly saw a ghostly alien city floating over Foshan in the Guangdong province of China. Weather experts have explained the phenomena as natural mirage, an optical illusion called Fata Morgana. Fata Morgana can be seen on land or sea and involves the optical distortion and inversion of distant objects such as boats, which can appears as skyscrapers because the images become stacked, when rays of light bend as they pass through air of different temperatures such as in a heat haze. It may be that those in this Chinese province also have a more openness of mind than those of us here in The States. 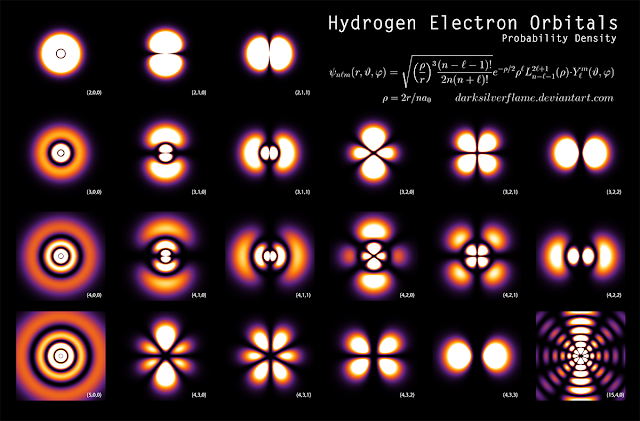 To them, reality may be more flexible than we ourselves see it (not being as the fixed particle of the electron, but more as the dynamic wave). If so, they would be able to see the Earth more as a shifting wave-form than simply a fixed, immovable rock. As Wilcock explains, there are not only physical forces working toward the benefit and awakening of humanity. There are other benevolent forces as well. The universe is working toward the benefit of higher consciousness, and to do this, there is a need to raise the consciousness of all beings. This includes ourselves, here on the 3rd-density surface. This is why Wilcock believes that the disclosure process is not just through a positive alliance working to free humanity. It is a benevolent, universal force which is assisting us in moving forward. 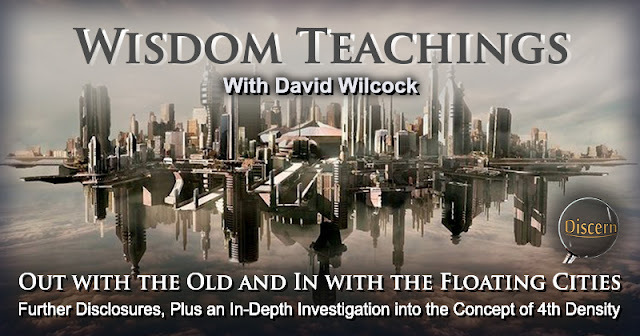 David Wilcock shared a number of experiences he used to have during his days of study on the subject of astral projection. He recounted instances when he would go out of body, and float up into the sky, and as he did, he would look down at different points, but as he did, what he saw would be different than the ground he left. He would still see the Earth, but everything would look different. There were still roads, cars and buildings, but all of these would change from one view to another. He would fly up into the sky once again and have this same experience, seeing multiple versions of the of the Earth. He would later come to the realization of a concept within the Law of One text which describes the Earth as having many levels. It is actually spheres within spheres, with each sphere existing in its own dimensional space. The 4th density can be described as another sphere gradually being superimposed over our present sphere of density. From our point of view, this would mean that the new ground to be formed would be above our present location, in the sky at some level. I don't believe we will be floating on clouds necessarily, as cliche would suggest (although we may actually be able to do this if we choose), but considering previous discoveries and revelations, I consider this a very strong possibility. We know from the science of cymatics that geometry increases in density and complexity as frequency increases. So it may be easy to imagine that the Earth would jump into a different state when enough energy is applied to it. This would mean that when both our sun and our collective frequency shifts one step higher, we may experience this new Earth. If this is the case, it may mean that the numerous manifestations (Fortean anomalies) which have been recorded were actual glimpses into this higher-density world, caused by higher frequencies interacting with our own. According to David Wilcock, as we engage this 3rd-to-4th density transition, the transition will likely engage us, as well. 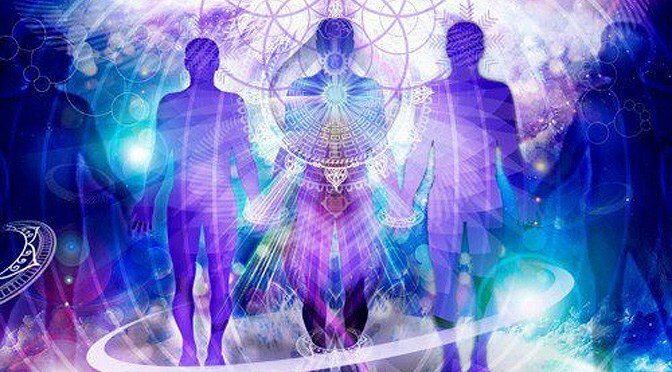 For a long while now, when reading on matters of the esoteric, many of us have been seeing numerous instances of the topic of different densities and dimensions (often confusing the two terms). We are likely familiar with the notion that we are transitioning into a new and completely different state of being. We have heard that we are increasing in “frequency” or “vibration” and that we're moving to higher densities, but where does this terminology come from? We know from the science of cymatics that sound and vibration within fluid can produce fractal geometry. (This comes in the forms of the platonic, spherical geometry.) This fractal geometry can be found virtually everywhere in the universe at every level, as it effects both inanimate matter and living organisms. It can be seen in everything from cellular organisms to galactic super-clusters. Evidence suggests that all things within our universe are founded upon this geometry, and just as the cymatic experiments reveal, this geometry is changing and increases in complexity as the frequency of vibration increases. Thus the foundational geometry of the universe changes. This is the basis behind the shift we are said to be undergoing presently. This simple explanation of cymatic progression is only one aspect of the grand change we are said to be undergoing. According to the Law of One texts, we Earth humans are presently a 3rd- density species which is transitioning into 4th density. This transition represents the natural progression of every being, according to the text, and as we progress, we increase in awareness, ability, and consciousness as a whole. (Wilcock explains that the nature of space-time and matter will likely change as well.) There are a number of specifics which the Law of One gives on the subject of the 4th density. Here is a passage which touches on this subject. 12.17 Questioner: Does an individual in the fourth density normally appear— or are they normally invisible to us? This explanation gives us a clear picture of why the 4th density is not presently visible to us. Though, if these accounts of floating cities are accurate, it would seem that this invisible density is very much becoming visible. Below is another passage which explains the overall dynamic of the transition of souls through various densities. The concept of this 4th density to which we are likely heading can be somewhat befuddling, as specially if we are unfamiliar with matters of the esoteric. However, the opportunity for learning is always available for those who are responsible, discerning, and willing to put in the time and energy. To close, I would like to share an experience of mine which happened recently. I typically don't gives specifics on my other-worldly experiences in these articles, as my goal is to highlight the show, and not so much myself. However, for this time, I was told that it would be of benefit for people to read this particular story. (For those who read my rendition of Part 2 of David Wilcock's article, Full Disclosure and Ascension: The War Has Gone Hot!, you may already be familiar with this account.) That night before I went to sleep, I asked for a very specific vision. What I received was much more meaningful. This experience started out with the words, "Get ready", spoken by a low-pitched, male voice. This voice was almost booming, but not so much that it hurt my ears. Immediately after hearing this voice, my bed started to move forward (and apparently, through the wall directly in front of me). I assume I was taken out of my body because I felt like I was on a cart or roller-coaster car. Yet there was no transition from my bed to this vehicle. It was as though my bed turned into the cart itself, and I could tell this cart was about to take off. I heard a machine-like sound as though this cart was a train car starting to roll. The bed/cart started to pick up speed, going faster and faster. Before I knew it, I was moving like a freight train down an enclosed track. Though looking back, I don't remember feeling any wind at all. 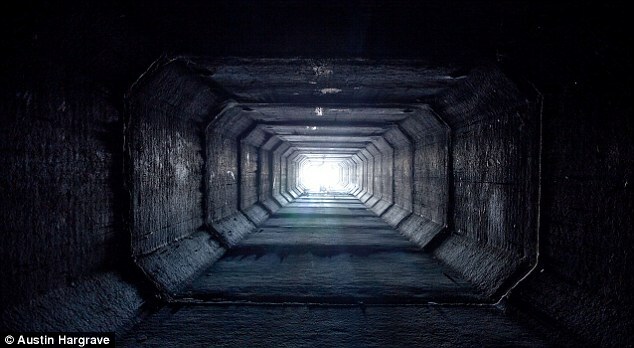 As I moved, I could see I was speeding through some kind of huge, industrial tunnel with a wide clearance of space on either side, as well as above me. As the cart sped along. I saw something like a 3D, moving slide show of what appeared to be a confrontation of my old abduction experiences. There were medical devices and tools everywhere. There looked to be surgical lights and strange imagery familiar to an abduction experience. I never saw any greys though. There were just the tools these greys used, and unlike any of my past experiences, there was no fear at all. After this scene ended, I was introduced to more E.T. species than I could count. These races were displayed as two rows of beings (one on either side) looking back at me, as though I was rolling through a colonnade of people greeting me. As I said, there were numerous types of beings. There was one type of being who had orange faces and something like hair coming off of their heads which came to a subtle point at the top. (This could have been a cranial ridge of some kind.) There was one type of being after another. This was all flashing very quickly before me, but I could still see each being in detail. The tunnel looked much different than this. The size was much larger, and the shape was rectangular/octagonal. As this scene ended, I looked to my right side and actually saw outside, as though the side of the tunnel had an inlet or entrance for trains. There was a place where I could see another track, similar to a railroad interchange, but the tracks didn't actually converge. I could even tell the time of day, and saw that it was very early morning and that the sun had not yet come up. (This is actually what time it was back in the physical world.) As this cart sped along, I started seeing more industrial scenery like big beams that hung from the ceiling horizontally. 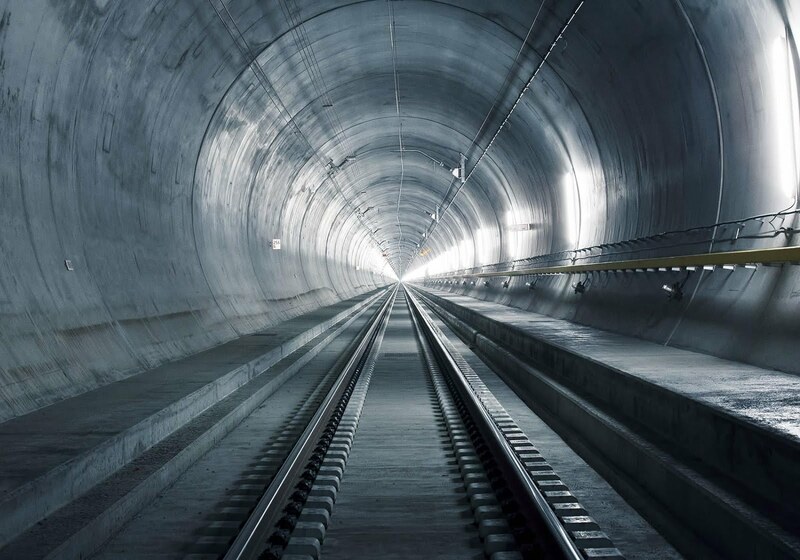 The shape was similar to this, but again, the tunnel was much wider, and much taller. The whole experience was extremely life-like. I could see for tunnel support structures, and could tell that this was not like any traditional railroad I had ever encountered. Considering all of the detail that I witnessed, it was difficult to tell just what this experience was. These thoughts were all flying through my head almost as fast as this cart was flying down the track. That's when I saw outer space. I saw what looked to be 5 elongated chevron or wedge-shaped ships at dock, and as soon as the sight met my eyes, these ships would fire their thrusters in sequential rhythm (one singular pulse per ship, one after the next) and slowly drift away. As their thrusters engaged, there was the sound of a short, initial firing and then an immediate echo which followed. It was like the echo you would hear in a big field-house. These ships were identical and looked to be flying in formation. I distinctly remember seeing the thruster assembly on each ship. There were at least 8 cylindrical vents or booster assemblies spaced out in square or rectangular formation. They almost reminded me of the X wing fighters from Star Wars, except these were fairly large craft. They looked to be very advanced in design, and were nothing like we are accustomed to seeing here on Earth. I think there was another ship in the distance, or possibly a space-station, but I couldn't see exactly what it was. These ships may have been docked, and as I came upon the scene, they were just leaving port. I was mesmerized by my immediate surroundings, and didn't really take much note of everything that I saw. At one point, I found myself out of the tunnel and floating through the air. I was above what looked to be a large, futuristic city that was unfamiliar to me, but I could tell that I was above a high skyscraper. I had been dumped off by the cart somehow, and was floating in what I assume to be my astral body down from the top of this extremely tall skyscraper. At first I was floating. Then when I began to worry about falling, I actually started to fall, but I realized that everything I had seen before was shown to me for the purpose of introduction, as well as confronting my fears. The city looked futuristic from my birds-eye perspective. This seems similar, but not exact. I am used to flying in my dreams, and the prospect doesn't usually pose a problem accept when I let my fear of heights get to me. I knew this high-rise experience was similar to previous opportunities at flight, and that I could only learn from the experience. So controlled my fear, and levitated down to the balcony of an apartment. This apartment would turn out to have a number of people in it. As I floated inside for a precise landing on the kitchen counter, people didn't seem to notice. When they did notice me, they said 'hi', but I can't remember if I said anything back. It seemed that greetings weren't much of a thing for them. It was almost as though they were expecting me, or maybe I was somehow a regular there. I can't be sure. I do remember looking around this apartment at the people lounging and feeling eager to tell someone what I had just experienced. There is much more to the story, but for now, I will leave it there. This was by far, the most vivid out-of-body experience I have had. As I recounted these events, I would learn that this was an experience in the 4th density (though I will probably double check this with a few other trusted, intuitive friends). The following night, I asked for another experience, but I guess, this was a once-in-a-while deal. We can have numerous experiences which may validate the claims of the accounts of the various people who witnessed these floating cities. If we are open to such experiences, they typically happen with some amount of regularity. According to David Wilcock, we may be having these experiences so that further exposures to higher densities may be authorized by our free will. If this is true, once a certain number of us are open to these experiences of higher densities, the door will open for all. When this moment comes, it won't simply be a time-space bubble or floating city drifting by. We will be able to see it, touch it, and smell it. If the accounts of the Law of One are true, this higher, 4th density will be just as tangible as we presently experience our 3rd-density world. Only then, it will be much different. I very much look forward to this experience. The thought which I enjoy most is that there will be no more negative cabalists attempting to manipulate the planet. If any of them are left, the story will be much different (as positive and negative cannot exist on the same planet in 4th density, according to the Law of One). The possibilities will be endless as long as we are willing to put forth the effort to progress inwardly as much as we do outwardly. I believe we most certainly can, and I look forward to seeing each of us grow beyond the need for any obstacle to hinder us any longer. Lets keep growing, keep expanding in consciousness, and most of all, keep expecting great things. The imagination does play a role in these inner travels. In my experience, imagination is the catalyst - like a diving board where a diver launches into the unknown... then once that journey begins it is very real. If there is hesitation, doubt, or mind interference, then it can be difficult to allow for the journey to unfold. If the ships were witnessed in very early stages, it may have been imaginal, either way, lessons can be learned. As we approach 4th density (most wonderful) it is wise that we remember in the Law of One confederation encounters sometimes include an examination experience,why? Because our minds expected it. Also Ra informs us that most confederation contacts are mental only! (from our perspective) This does nothing to lessen the importance of the contact OR the REALITY of the experience. This idea that imagination isn't "REAL" is an old 3rd density way of thinking, and we all must challenge our own assumptions. The old ways must fall for the new ones to have full expression! Ra suggests often times what we have perceived as "imagination" in the past is actually a form of remote viewing if you will. In our case imagination (Image-i-nation) suppression is literally 4d suppression. Our imaginations are full of many wondrous and terrifying things, all of which are actually brought to life, or brought into your life, by your attention. Resistance is to this notion is highly understandable, but its out of fear not that of a loving acceptance of the One Infinite Creation. We were thought into existence, and in our Creator's image, this too is how we create, 1st by having a thought.